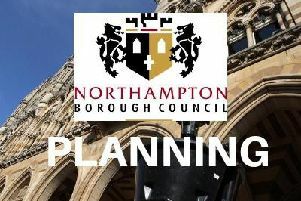 Up to 100 new delivery drivers will be taken on by an expanding logistics company in Northampton. Set up by the directors of Northampton based Action Express, AE Driver Training and Recruitment has said it would fund the full cost of Category C+E licences and provide a guaranteed full time job for those who pass. The move follows Transport Secretary, Patrick McLoughlin’s warning of driver shortages ahead of Christmas, which saw consumers urged to shop earlier to avoid disappointment. Elaine Harries, pictured above, who set up the new company with business partner Syed Ziaullah, said: “There’s currently a major shortage of Category C+E drivers here in the UK, while at the same time the ever increasing popularity of internet retailing has meant there is greater demand for drivers than ever before. As well as working for Action Express, drivers will be made available to other businesses in the local area. The company is already working with the British Forces Resettlement Services (BFRS) to provide roles for local service personal due to come out of the military and has already secured 52 expressions of interest.